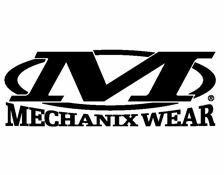 Lightweight, hardwearing grey glove from Mechanix Wear, with multipurpose appeal for military, combat engineers & mechanics, tactical firearm and law enforcement users. Produced with a close fitting elasticated cuff for a better fit and easy on and off fitting. A two piece synthetic leather palm is designed to follow the shape of the hand making for an better fit and yet still allowing for maximum control. The thumb and index finger are reinforced and the TrekDry material keeps hands dry and cool. The nylon loop is perfect for attaching gloves to other equipment when not in use. Fully machine washable. Sizes available - S-XXL. Weighs - 64 grams. Colour - Grey.